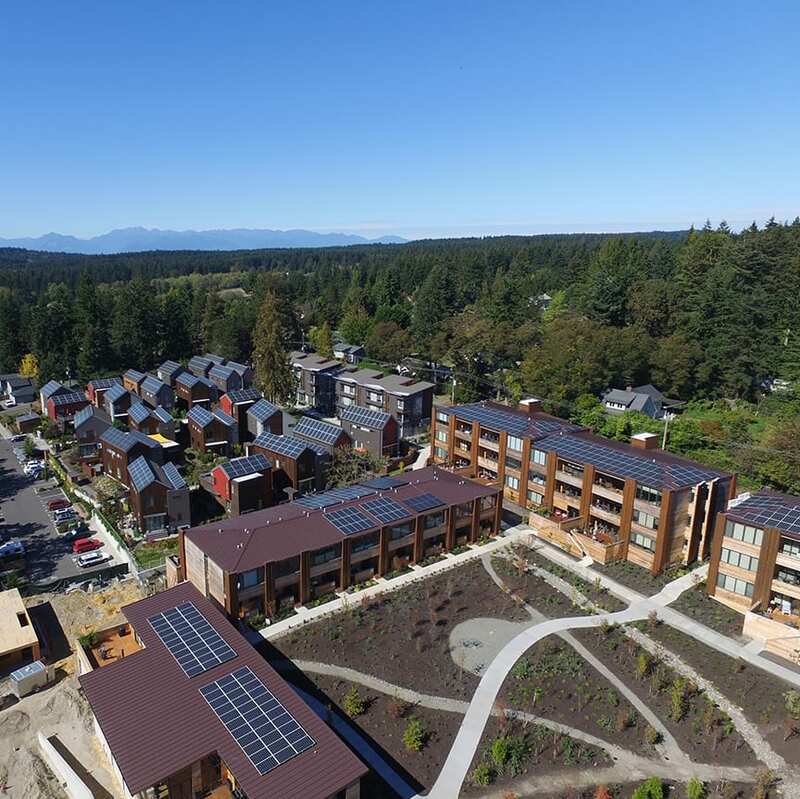 Grow Community is already the largest planned solar community in Washington state with every single-family home and duplex in the Village powered by photovoltaics. 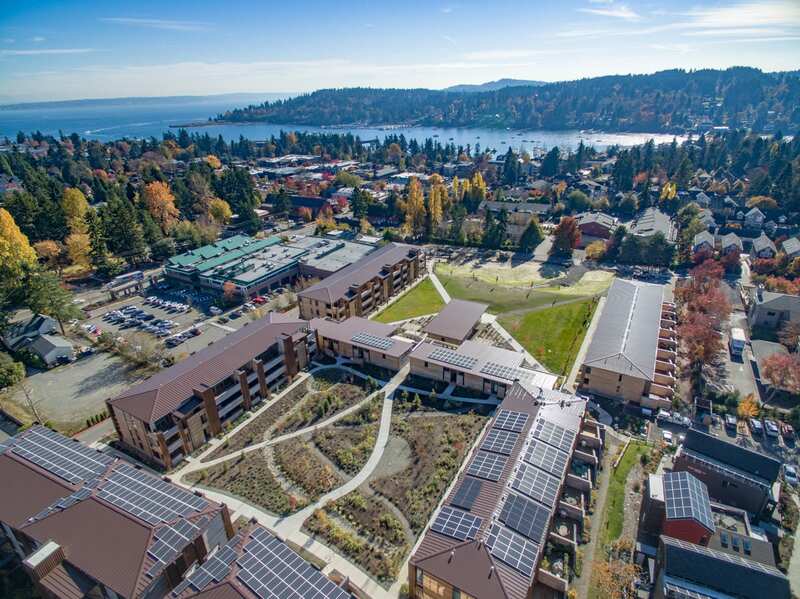 It has been designed around the idea that homes should produce all the energy their residents need (net-zero impact) while capturing the financial benefits that come with producing renewable energy. How does the Solar Option Work? Grow Community homes are designed to be extremely energy efficient. We start with a well-constructed, highly insulated building envelope  with impressive wall systems and insulation that exceeds Washington state energy code by 30% or better. High quality, double-pane windows bring in lots of natural light. Highly efficient heat pump systems make each home both comfortable and economical to live in. 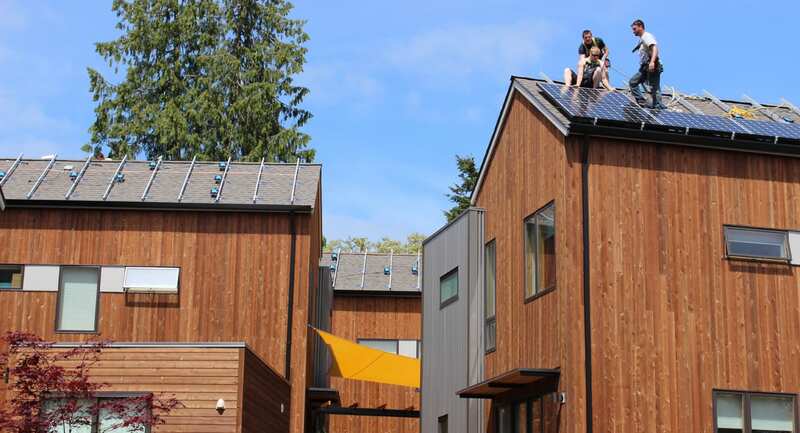 To meet the One Planet Living goal of Zero Carbon buildings by 2020, each Grow Community home comes with a forward-thinking, rooftop solar energy option with a goal of homes being net-zero. Why invest in solar panels if your Grow Community home is already so energy efficient? The solar choice is not only economical, it saves you money over time  paying you back, and then some. 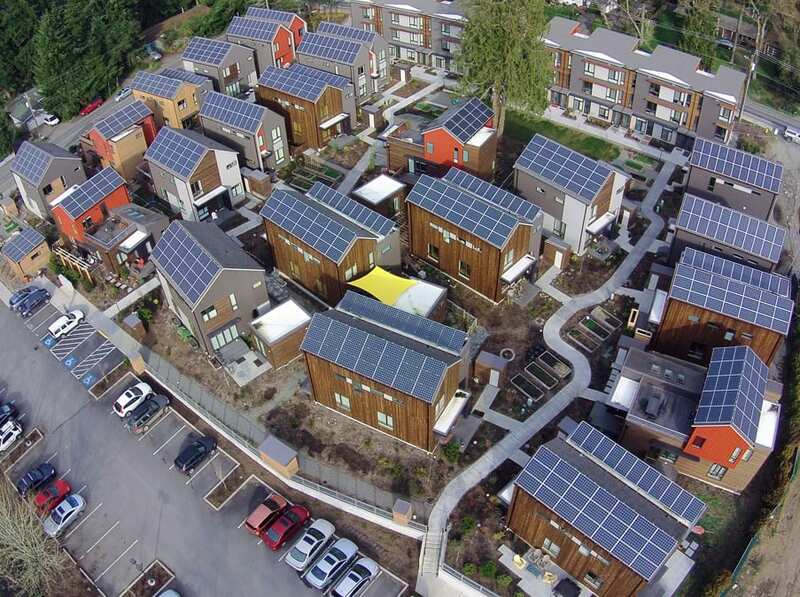 As Washington¹s largest planned solar community, Grow neighborhoods will collectively save many tons of coal each year. That¹s a lot of blue sky over your head. 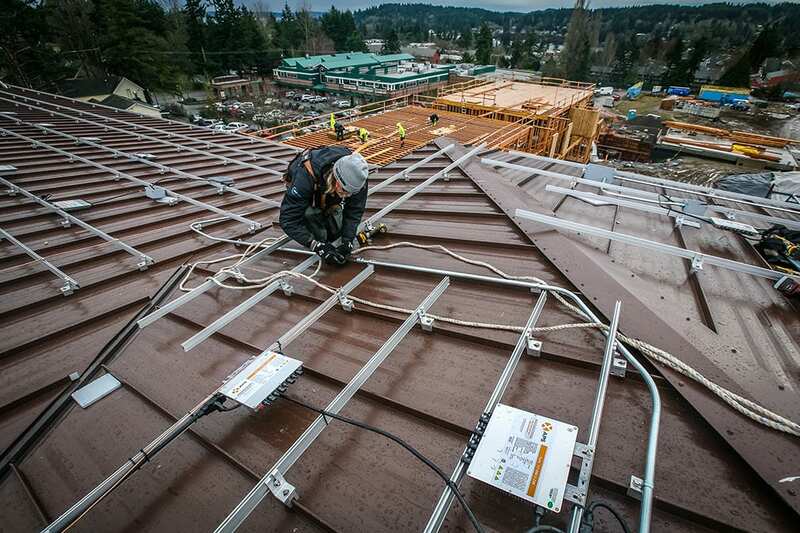 With the solar option designed into each Grow Community home, we’ve done the hard work for you. Just inquire with our team to learn more. How Can You NOT Afford This Option? 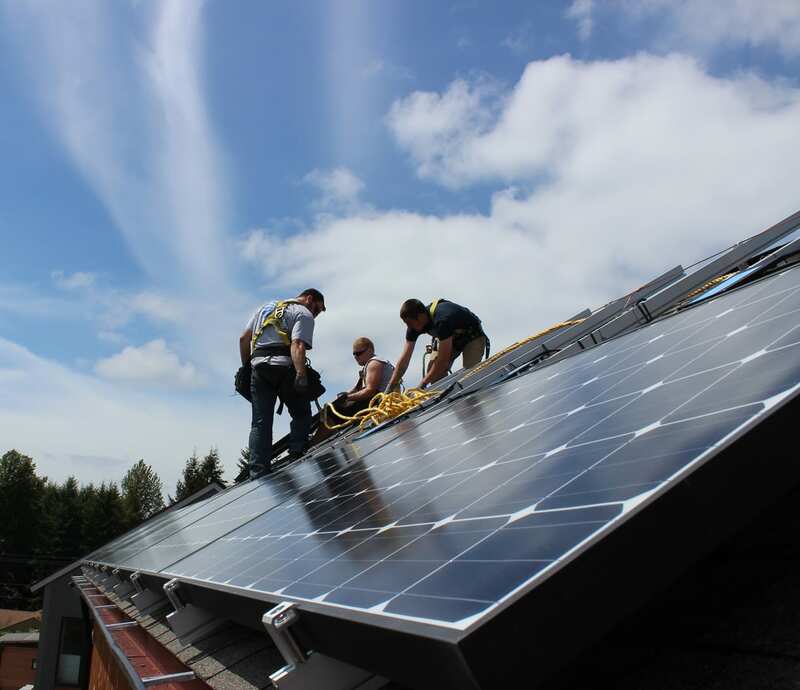 Choosing the solar option at Grow Community makes sense for the planet, and your pocketbook. 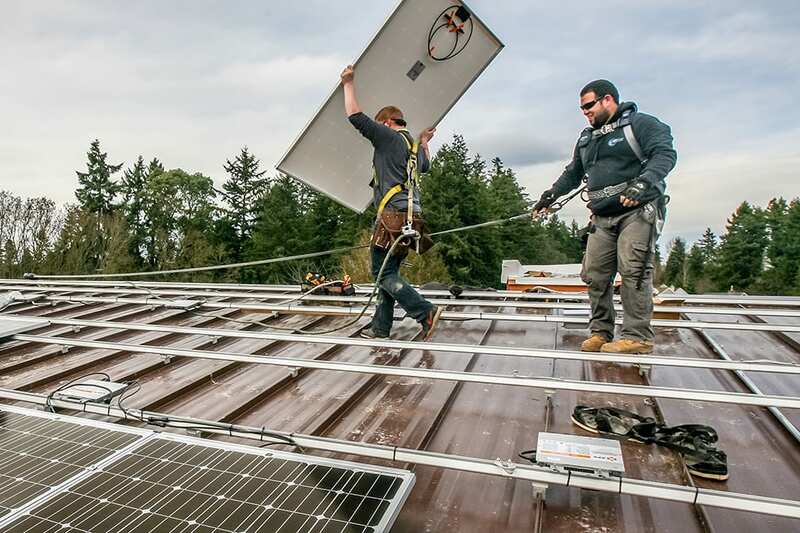 Because your system can include Washington-made solar equipment, you can receive an incentive check each year for the power your rooftop generates money you can use to pay off your solar investment. That¹s on top of a 30 percent federal tax credit to offset the cost of installation up front. With these incentives in place, your solar system can pay for itself in seven years or less. It¹s so simple, you can¹t afford not to choose solar! 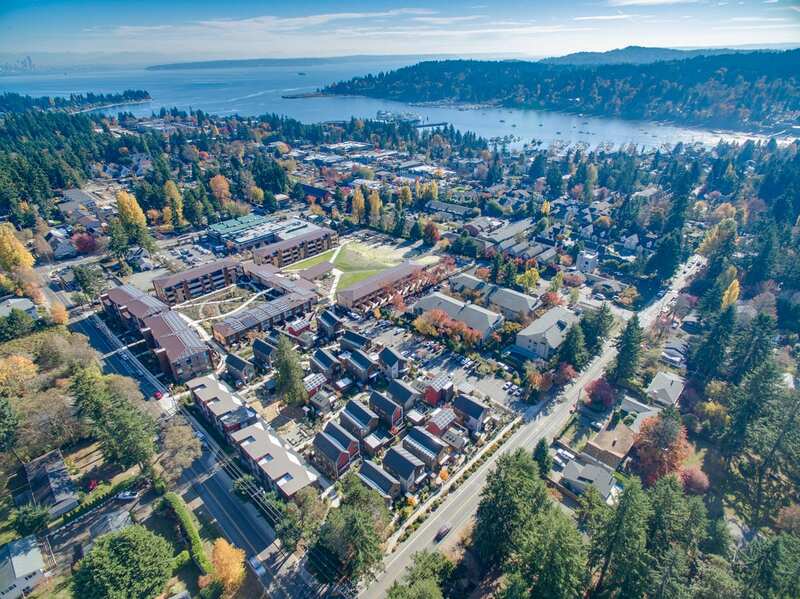 Are you moving into one of our condo buildings? 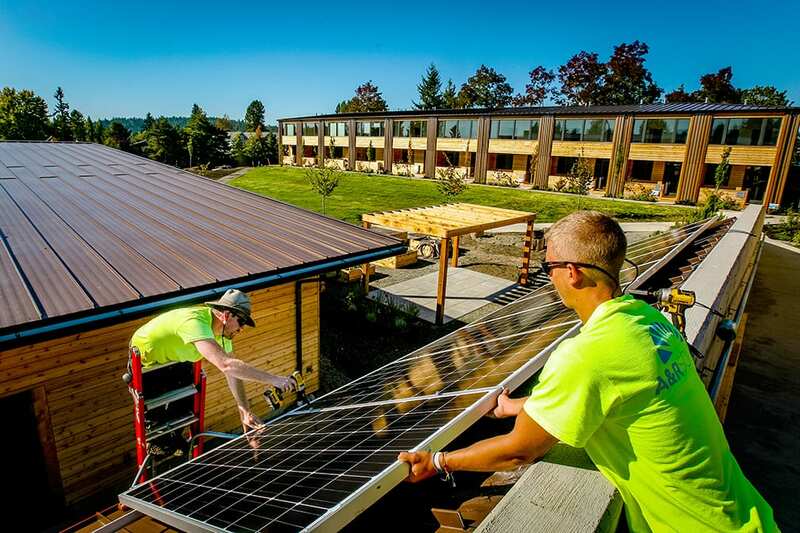 We have a solar option for you, too! We are here to help! You will be coordinating directly with our team during this process. 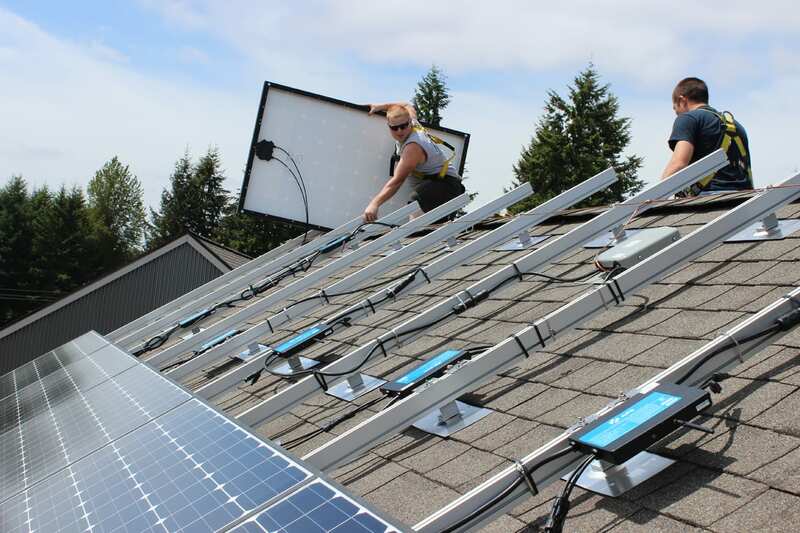 Purchase solar after you buy your Grow Community home, using the new Simple Solar program through Blue Frog Solar and Puget Sound Cooperative Credit Union. With a consumer loan at an extremely competitive rate, you may be able to finance the loan payments through solar tax credits and rebates each year, with little or no money out of pocket. We are excited to help you with a more detailed financial analysis of your solar options for your Grow home at the time of reservation.